Guidance on E-Discovery: The Road to CEIC 2013: The Night Before CEIC – There’s an App for That! 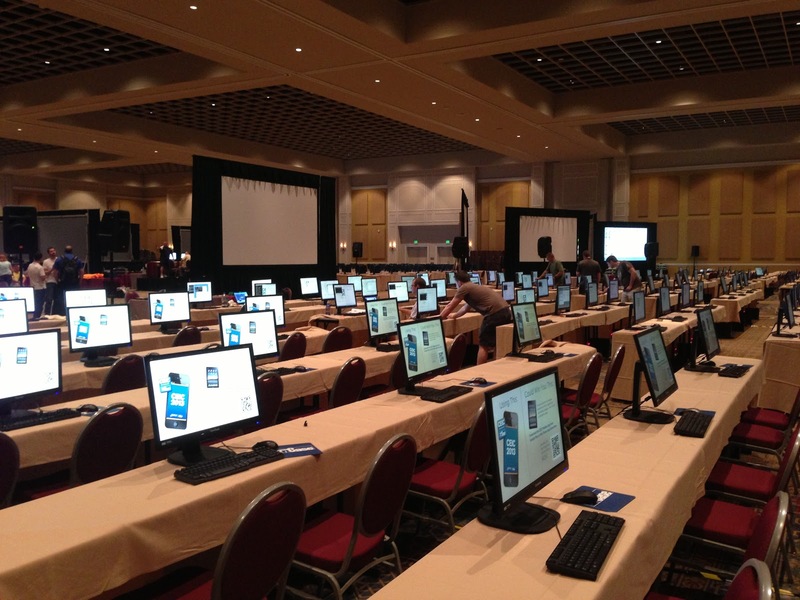 The Road to CEIC 2013: The Night Before CEIC – There’s an App for That! The small army of marketing and training staff has done an astounding job transforming the space into THE digital investigation conference of the year. Over 500 machines were set up and connected to the network the past three days. I’m writing from the Cybersecurity and Compliance lab, where Joe Murin, Aaron Bennett, David Lyman, Josh Beckett, Jason Fredrickson and Rodney Smith are expertly configuring EnCase Cybersecurity and newly announced EnCase Analytics for the upcoming sessions. The labs are concentrated near the Exhibit Hall to make it easy to enjoy the hall for lunch and between sessions. 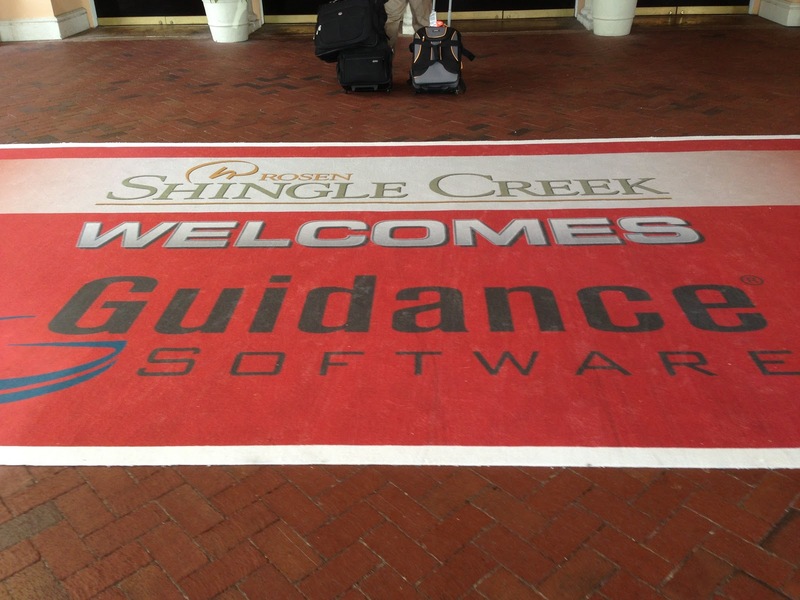 The Exhibit Hall opens on Sunday at 1:00pm, so you can get a first peek before the Opening Keynote at 3:00pm by Victor Limongelli, President and CEO, Guidance Software, Inc. Be sure to attend the Welcome Reception at 6:00pm. New to CEIC this year is the CEIC 2013 app, available for iOS, Android and HTML5. You log in with the email address you used to register at CEIC and you can request a new password if you have any difficulties logging in. Before I even arrived at CEIC, I updated my profile with a photo; located friends, colleagues and experts I wanted to follow; set up my agenda; and posted updates. Throughout CEIC, you will be able to check-in to a place or session to share where you are with other attendees, post photos and earn points and badges for a position on the leaderboard. To add to all that, there are exclusive App Ninja t-shirts to be awarded each day to people with the most activity in the app. And those who play the EnCase® Analytics Scavenger Hunt game and earn the ultimate badge for finding all nine checkpoints are entered into a drawing for an iPad (Wi-Fi, 16GB). I’ll see you on the CEIC 2013 App!